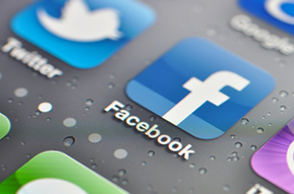 The future of Facebook Mobile Advertising - What will it hold? The future of Facebook Mobile Advertising – What will it hold? The Facebook sign-up page states that creating a profile with the most popular social network in the world is free, and this is how it will always remain. This is definitely good news to the public, considering that more than four hundred million users access Facebook every month. However, Facebook has now gone public with their shares being trades on the NASDAQ, and the public will want this company to earn some profits. Facebook has not disappointed so far in this department, but the future presents a dilemma which the company itself has already acknowledged. This dilemma is presented by the difficulty of advertising on a mobile platform, considering that about fifty per cent of Facebook users are accessing this social network through their mobile phones. More than eighty per cent of Facebook’s revenue comes from advertising. Since Facebook does not advertise on a mobile platform, it has rightly anticipated that if this trend continues, they will lose significantly in the revenue’s department. So, what will Facebook do to get money in the bank if they are stuck in people’s pockets? Will PPC on Mobile work best? Considering that Facebook is a social network, Pay Per Click advertisements are already not the main focus of their clients. Furthermore, it is not logical to include Pay Per Click advertising in mobile phones because the screen of mobile phones is already too small, and an advertisement will be too imposing. However, this social networking giant has to find a way to generate revenue from Facebook mobile. The good news is that the future does hold a lot of opportunities for the company if the trend that is in the market today remains. More and more people own smart phones and are accessing their Facebook profiles through these phones. Facebook has a UI application for smartphones, and they could use this to feature some form of advertising. However, what is most likely is the emergence of sponsored stories which will involve businesses with pages on Facebook to pay for a story as an advertisement. The story will appear at the top of the pages of profiles belonging to people who fit certain criteria. By so doing, advertising will not be imposing, but instead, Facebook will have managed to successfully bridge the gap between marketing and socialisation. People can choose to read these stories or to ignore them, and whenever they click on a story, the business pays, just as in Pay Per Click advertising. Another idea that has been fronted is for applications to pay for being featured on Facebook pages. Facebook usually gets part of its payment from the payment system which involves games integration into the social media network. Also, Facebook gets a cut from all virtual goods that are transacted through it. However, in order to increase revenue in the mobile platform, Facebook could consider extending this payment system to mobile games as well as to other applications such as news reader or shopping applications. In this way, the mobile advertisement will be feasible and Facebook will be able to keep up with its revenue generating streak and hopefully have sufficient profit to share with its shareholders. Facebook did admit that its revenue cold reduce because of the increased number of mobile users. This is because they do not have advertisements for their mobile application yet. However, a poll was conducted and the results indicated that majority of the users would prefer advertisements to paid subscriptions. They would like Facebook to continue being free with advertisements filling their screens. However, others argued that advertisements are sometimes annoying, and they would prefer if there was both a free and paid version, with the paid version attracting minimal to no advertisement. Despite the fact that this is not how the social networking website will choose to go, it is interesting to note that there are very many options when it comes to mobile advertising for the networking giant. Facebook is an industry leader, and many businesses and companies are choosing to place advertisements on it. If the social media network does develop an application that will make it easier for companies to advertise on the website through mobile phones, and for people to access these advertisements, all these without swaying from its original goal of enabling socialization, then the sky is no limit for the heights that this company will climb.